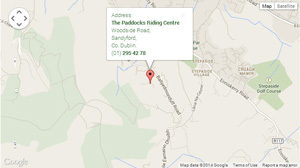 Lessons - Horse Riding Centre Dublin, riding lessons, livery, horses riding school, stables, pony trekking, equestrian centre, Dublin Mountains, Wicklow, Ireland. Please see below times, prices and information for all our lessons and ride outs. All classes graded according to experience. Children will be moved to a more advanced class with agreement from parents and instructor. Beginners ponies from 10 hands to experienced. Hats and boots provided for free. Pre paid lessons do NOT have to be used 10 weeks running, must be use within 14 weeks of purchase. 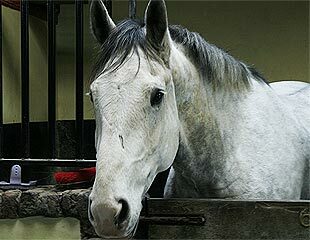 Lead walkouts into the mountain available for children from 3 years of age for any riding standard. 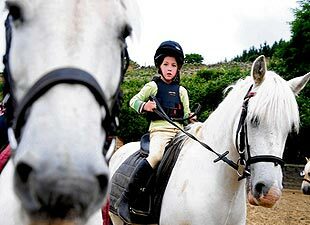 Great, fun and relaxed introduction for children into horse riding. Gift vouchers are available to purchase for lessons and walkouts. Pre paid lessons do NOT have to be used 10 weeks running, must be used within 14 weeks of purchase. Group of 10 lessons available weekdays and evenings (Pre-Paid) To be use within 14 weeks of purchase. All sorts of Parties for adults or children catered for. We can cater for up to 30 children at any time whether total beginners, advanced riders or a mixture. The birthday boy or girl will get a rosette as a reminder of their very special day at The Paddocks. 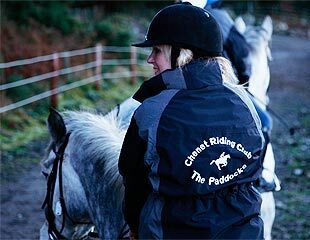 With one hour riding you can choose from a one hour riding lesson, a one hour walk in the mountains (being led if necessary) or half an hour lesson followed by half an hour walk in the mountains. Afterwards the children can groom the ponies or play pony games until its time for food. Menu includes pizza, crisps, sweets and soft drinks or juice served in our heated party room. Balloons, party table cloth, etc provided. Prices from 30 euro per child and adults can join in the fun or sit back and let our fully qualified capable staff do all the work while parents can enjoy a coffee in front of the fire.